The DT-3348 Professional True RMS Clamp Meter provides accurate AC/DC Current, Voltage and Wattage readings regardless of waveforms. This meter can be used in most industrial and commercial applications where non-linear loads distort the Current or Voltage waveform. 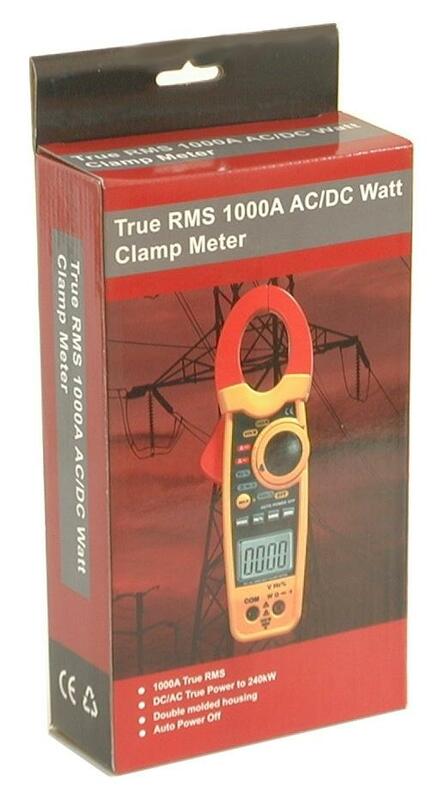 This is a brand new CEM DT-3348 CE certified digital clamp-on AC/DC meter. The DT-3348 Professional True RMS Clamp Meter provides accurate AC/DC Current, Voltage and Wattage readings regardless of waveforms. This meter can be used in most industrial and commercial applications where non-linear loads distort the Current or Voltage waveform. This meter is CAT III 600V rated. It also measures frequency and resistance. It comes with a heavy duty carrying case to protect your device when working in the field. Resistance (?) 40M? ±(1.0%+4d) 0.1?